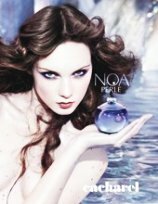 Cacharel Noa Perle is an Eau de Parfum, and is available in 30, 50 and 100 ml and in matching Body Lotion. Noa perle. ah its wonderful. Very… whatever word you guys use for ‘foody’ way better than the original Noa in my view. We use foody too! Or gourmand. I love the Style fragrance!!! Very nice smell!! !